At 175cm (5’9”) I am about average height for Europe, Canada and USA. This means I rarely have issues with things fitting—I can find a comfortable driving position in nearly any car, fit in average-sized plane and train seats, and, most importantly, reach the ground on my bikes. I can flat-foot my R1200GS—both feet flat on the ground—but on my F800GS with the optional taller ‘comfort’ seat, I can just get my toes to the ground, something to which I’ve become accustomed during my time with this bike. Both of these bikes offer seating choices which include low, normal and tall seats, as well as factory lowered suspension which, unsurprisingly, compromises off road ground clearance. I have been asked by strangers on a number of occasions if I feel comfortable riding such tall machines, mainly by people who don’t ride bikes at all, or those who ride lower bikes like cruisers. My standard response is that as long as I can get my toes down, there’s no problem. I think new riders who have not yet found their confidence would find a tall bike intimidating (and indeed I would never recommend a tall bike to a new rider), but after a few year’s experience it becomes a trivial issue. Nevertheless I think a lot of riders pass up having a go on an adventure bike if they believe they are too ‘vertically challenged’. The previous generation oil-head R1200GS was an especially tall beast, particularly in Adventure specification, but BMW has reduced the seat height on the current liquid-cooled generation—most likely in an effort to appeal to a wider range of riders. I believe this is quite a clever marketing tactic because it demonstrates the range of riders who can be comfortable on this bike—and shows that the bike can be ridden with confidence regardless of the rider’s height. By extension, advertising like this benefits the entire adventure bike category as it encourages people to try bikes which they may not have considered previously. I was quite surprised during my recent test ride on the KTM 1190 Adventure—a bike that looks physically very tall—just how good the riding position was and how easily I could reach the ground. I didn’t have a chance on the taller 1190 Adventure R, but doubt I would have had any trouble as it is roughly the same height as my F800GS. Leslie (www.advgrrl.com) went through a lot of contemplation when considering an F800GS as a replacement for her trusty F650GS and ultimately went for the standard height model with the low seat—and hasn’t looked back. 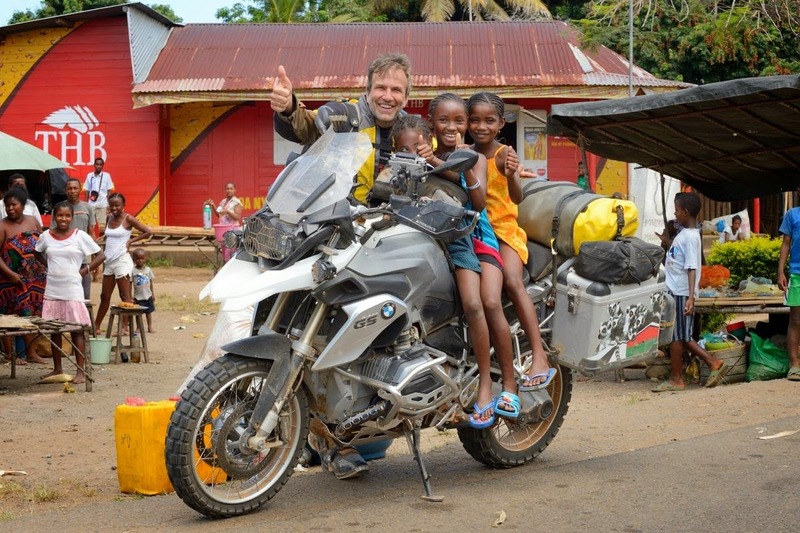 Lynne’s blog (www.curvyroads.info) is mainly focussed on her experiences on an oil-head R1200GS, one of the tallest dual sport bikes over 1,000cc. Sylvia who writes a Dutch motorcycling blog under her own name (www.sylviastuurman.eu) rides one of the tallest adventure bikes on the market—the Yamaha XT660Z.